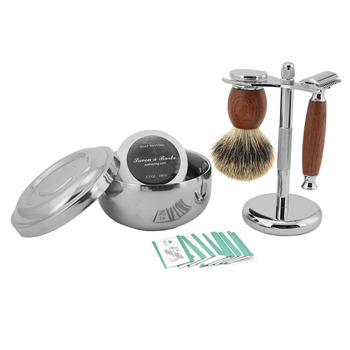 Man Straight Razor Shaving Set. 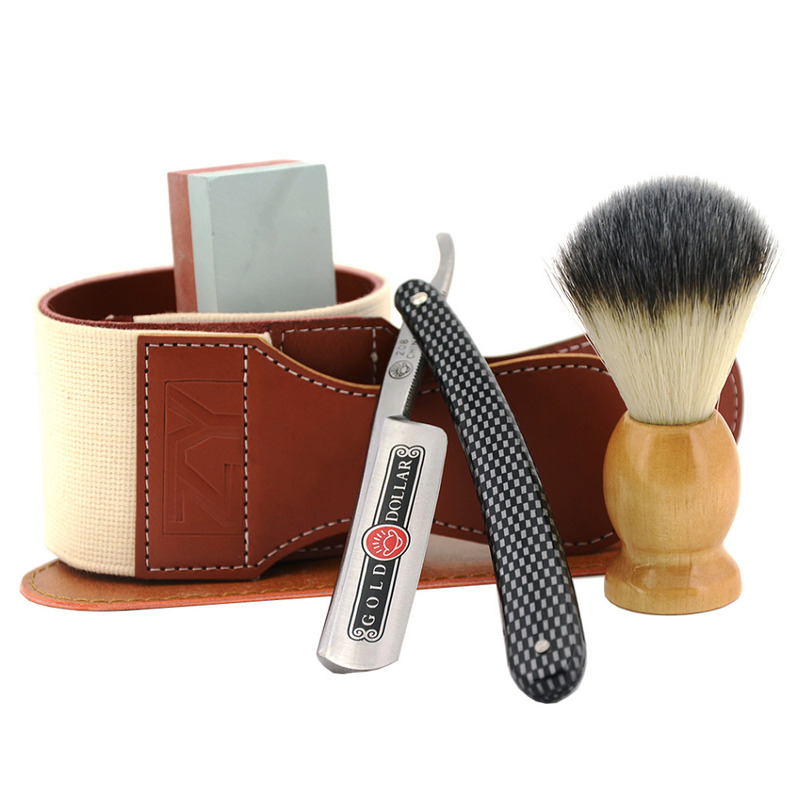 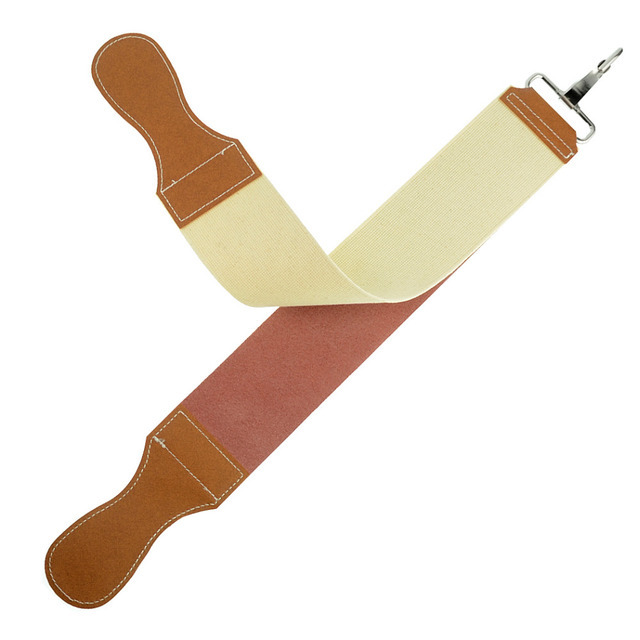 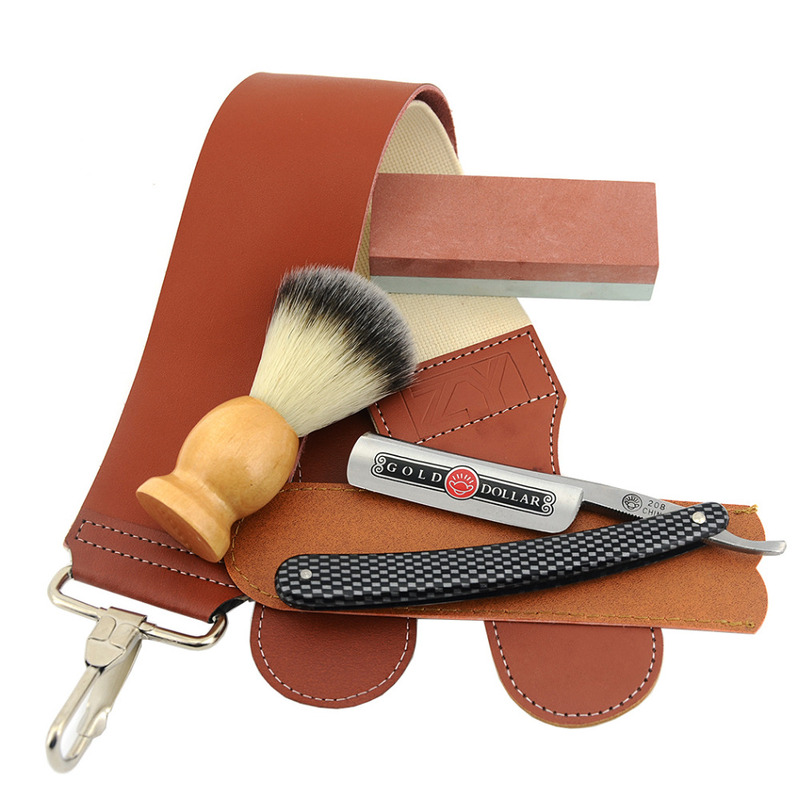 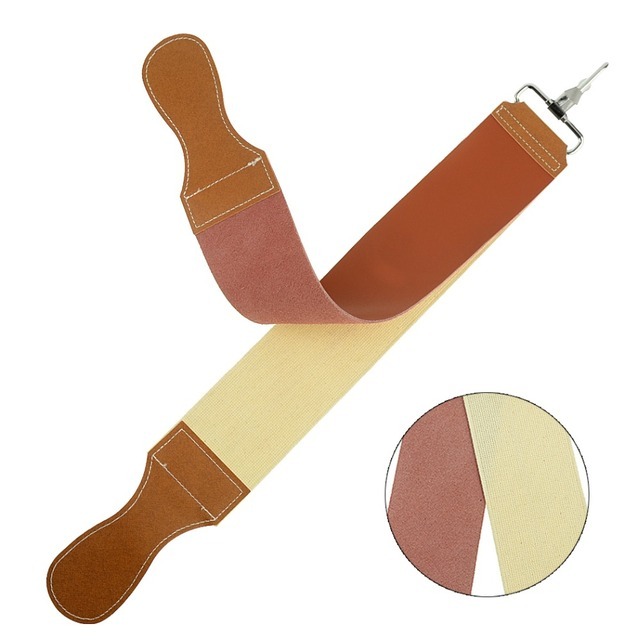 The set includes a Cut Throat Knife Gold Dollar 208, Sharpening Stone, Synthetic Shaving Brush and Sharpener Strop Belt. 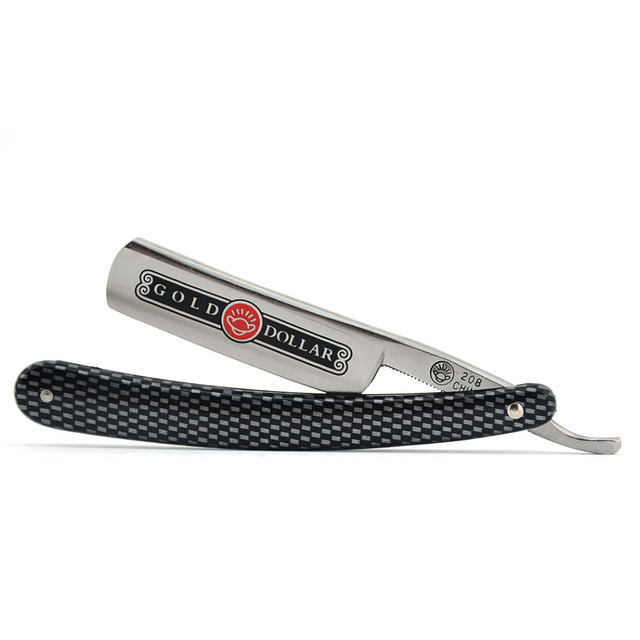 Ergonomic designed Alloy Steel made sliding style straight razor with grid plastic handle is very finely balanced for you to enjoy the feel of a traditional shave. 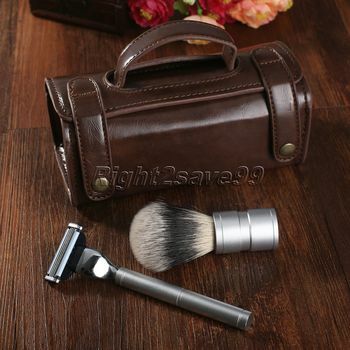 The handsome wooden handle shaving brush and is filled with Synthetic Nylon Hair. 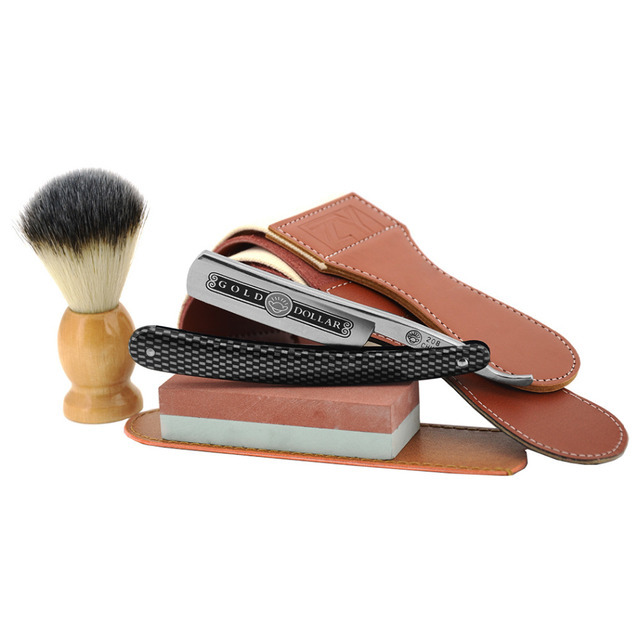 It is comfortable in hand and is able to create a rich and moist prep lather for shaving. If the razor is not shave ready, it needs to be sharpening before use. 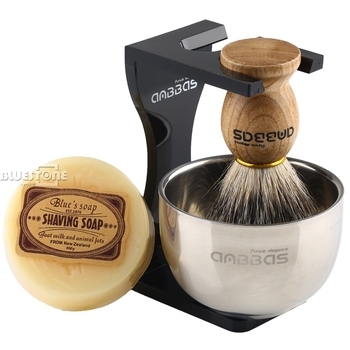 The stone should be kept wet throughout the sharpening process by sprinkling with water/oil, which act as a lubricant on the stone.